As your parents or yourself approaches the age where caregiving may become necessary, make time to sit down and have a discussion about the various caregiving options available. Here are some of the costs that are commonly associated with caregiving to keep in mind during your planning. In order to cover some of the costs associated with being a caregiver, many cut back on their own spending and saving. This could include emergency savings, retirement savings, vacation savings, and more. Many caregivers find themselves having to quit their job in order to care for their loved one full-time. This number skews heavily female. 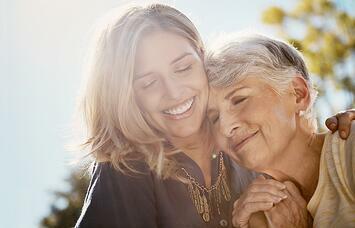 It may also be difficult to re-enter the work force once your caregiving tenure has ended. The older your parents get, the more expensive their healthcare may become. However, the caregiver may also find themselves with more health issues thanks to the additional mental and emotional stress. What can I do to help reduce these costs? It's important to sit down and plan before you get to the point of your parent needing a caregiver. If you have siblings, they should be included in these plans so that everyone is on the same page. Research various financial assistance options, such as Medicaid, Medicare, Social Security,etc. that may be available to you once the time comes.There also may be long-term care insurance options that your parents may qualify for that can help offset some of these costs.